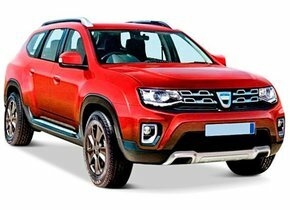 Despite the fact that the company behind the Dacia brand was initially set up as a factory for truck spare parts, it has since grown into one of the most famous budget-friendly car brands on this planet. The Romanian car brand, which originated in Romania, is now part of the French Renault group and has seen some strong evolutions over the years. Nevertheless, there will always be a not insignificant reference to the roots of the car brand. The name Dacia refers to the ancient Dacia. This region now covers more or less the whole country of Romania. An average of 500,000 Dacias are sold each year. That is not small. It is therefore quite normal that there are regular reports of certain forms of damage to these cars. This often involves window damage, such as a broken rear window. Are you also the owner of a Dacia and are you also confronted with this problem? Then you can quickly read on and discover how a rear window replacement of a Dacia can be carried out without any problem and without high costs! 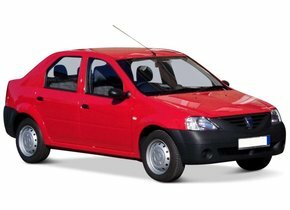 When is a windscreen replacement of a Dacia necessary? Meanwhile, you know that replacing a damaged Dacia rear window is not always a requirement, but is strongly recommended. But what about the moment you are faced with a damaged windscreen? It is often assumed that a damaged Dacia windscreen replacement must always be done immediately in order to avoid disapproval of the MOT. That is not entirely correct. Indeed, in some cases it is not even necessary to replace your damaged windscreen at all. Is there an innocent star, for example? Then you can have them solved in a very simple and financially very interesting way. Do you have to establish that there has been a big crack in your windscreen or that it has been completely shattered? In that case, the windscreen replacement of your Dacia is of course a requirement. If you do not do this, a rejection of the MOT will threaten. 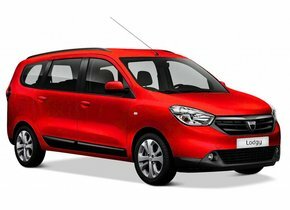 How can I find an economical way for a rear window replacement of a Dacia? in 1968, the Romanian brand launched itself on the market as a good value for money alternative to other, more expensive (German) brands. People who choose to bring a Dacia home do so mostly for financial reasons. For the price-conscious customer who buys a Dacia, it is also important that any damage can be solved in a financially as interesting a way as possible. However, a damaged rear window replacement at a Dacia can cost you a lot of money if you make the wrong choice. In case of a rear window replacement of the Dacia, many people still choose to use an original car window with a brand logo. That is not a problem, but such automotive glass is very expensive, while it can be very different. 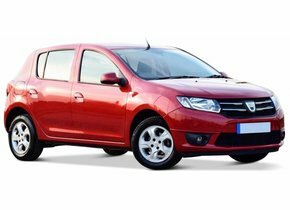 A car rear window replacement at a Dacia can therefore be done without any problem by means of a so-called after-market car window. Such a car window has no brand logo, which means that it can actually be sold by any party. Moreover, by buying this type of car window you don't have to fear any loss of quality at all, on the contrary. After-market car windows are therefore produced in the same factory as original car windows and are part of the same production line. 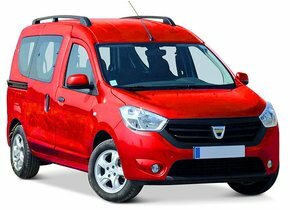 This ensures the best price-quality ratio for the broken rear window replacement of your Dacia! Because of their unique price-quality guarantee, Dacia's are frequently sold to a very large target group. This is not least the Dacia Logan and Dacia Duster. We are therefore regularly asked by not only garage owners, but also by hobbyists whether we can supply individual car windows without installation. Of course, that is not a problem. Compared to many of our competitors, we can easily supply the highest quality after-market car windows at the lowest price. Moreover, this delivery cannot only take place in the Netherlands, but also in other countries where business customers can benefit from an intra-community delivery. Does it concern customers from outside the European Union? In that case, the VAT amount of 21 per cent will be deducted from the invoice amount. In this way, it is also very interesting for customers from the Caribbean, for example, to buy their loose car windows from us. Do you also want to do the rear window replacement of your Dacia by yourself? It can be done without any problem with our high-quality and competitively priced after-market car windows! Are you doing the rear window replacement of your Dacia yourself or do you outsource it? Did you decide some time ago to buy a Dacia Dokker or a Dacia Sandero? Do you meanwhile have a damaged rear window that was caused by an accident or vandalism, for example? In that case, of course, you would like to have this damage repaired as quickly as possible. Replacing your own rear window is of course not an option for everyone. However, that is not necessary. It goes without saying that you can also have this task carried out by an expert. To this end, we would be happy to call on one of the various certified partners we work with. Each of these experts are the right party to outsource a rear window replacement of your Dacia to.